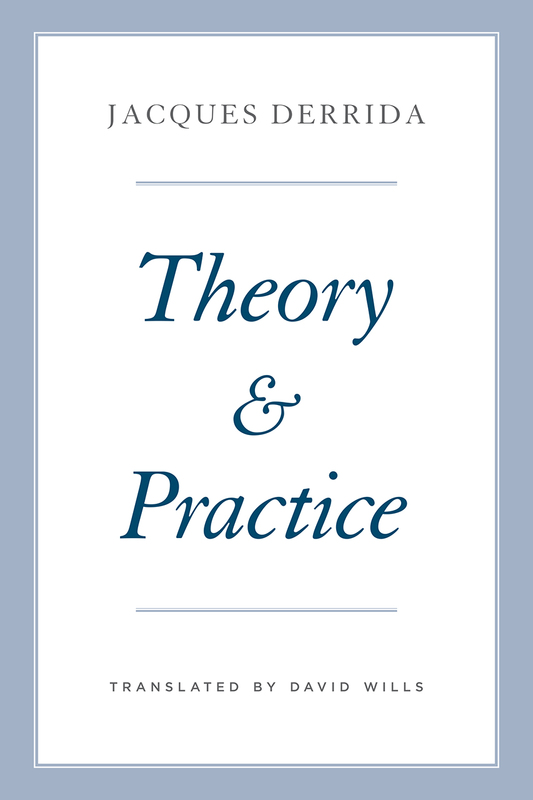 Theory and Practice is a series of nine lectures that Jacques Derrida delivered at the École Normale Supérieure in 1976 and 1977. The topic of “theory and practice” was associated above all with Marxist discourse and particularly the influential interpretation of Marx by Louis Althusser. Derrida’s many questions to Althusser and other thinkers aim at unsettling the distinction between thinking and acting. Derrida’s investigations set out from Marx’s “Theses on Feuerbach,” in particular the eleventh thesis, which has often been taken as a mantra for the “end of philosophy,” to be brought about by Marxist practice. Derrida argues, however, that Althusser has no such end in view and that his discourse remains resolutely philosophical, even as it promotes the theory/practice pair as primary values. This seminar also draws fascinating connections between Marxist thought and Heidegger and features Derrida’s signature reconsideration of the dichotomy between doing and thinking. This text, available for the first time in English, shows that Derrida was doing important work on Marx long before Specters of Marx. As with the other volumes in this series, it gives readers an unparalleled glimpse into Derrida’s thinking at its best—spontaneous, unpredictable, and groundbreaking.